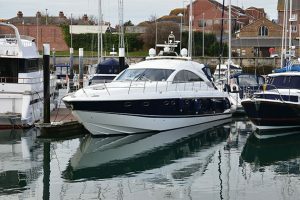 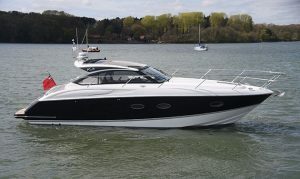 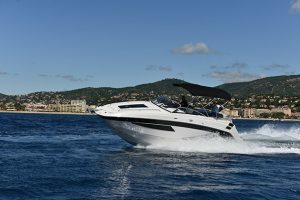 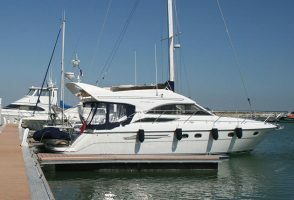 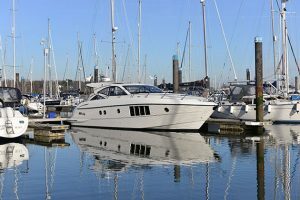 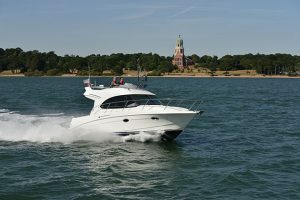 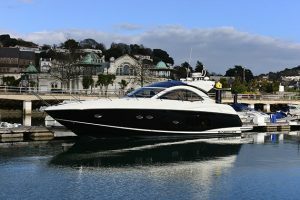 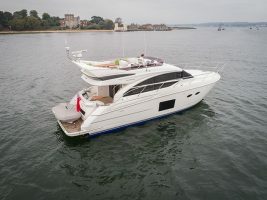 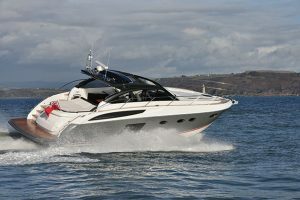 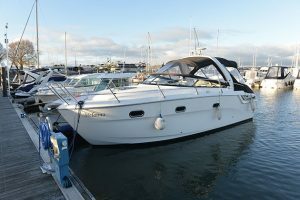 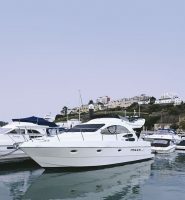 “It’s first and foremost a really pretty boat, the proportions are spot on – a classic Sunseeker,” says Nigel Brown, describing the 2007 Sunseeker Portofino 53 that he bought from David Jones at Sunseeker Poole last year to replace a Sunseeker Mustique 42. 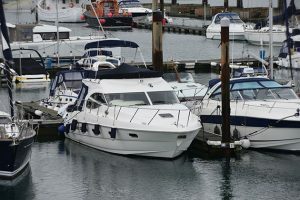 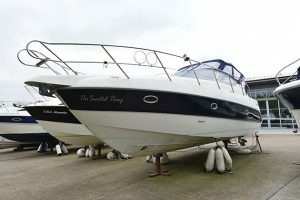 He keeps the boat close to his home in Poole and uses it most weekends in the summer with his fiancée Lorraine for trips into the Solent, across to northern France and the to Channel Islands. 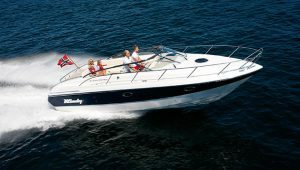 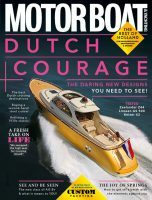 The layout is as classical as the looks, this boat predating the full-beam master cabin that has since become de rigueur. 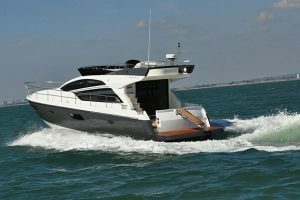 Fitted out initially in high gloss or satin cherry (with an occasional boat in satin maple) and later in satin walnut, you’ll find the ensuite master cabin in the bow ahead of a huge saloon. 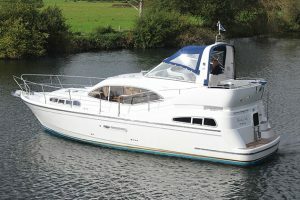 Further aft, the main guest cabin to starboard has two single berths and ensuite access to the day heads. 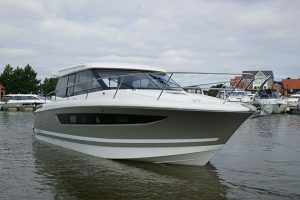 The third cabin is on the port side with crossover beds. 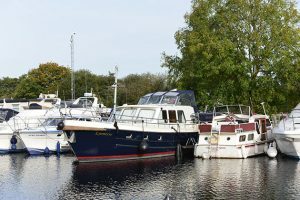 Interestingly, there was room for a washing machine in this cabin, which was a useful option when new and you’d think would make a simple retrofit job now, but it’s not quite that simple.